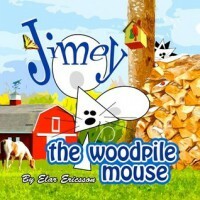 Jimey the Woodpile Mouse - M's blog. Received this book for free through Goodreads First Reads Giveaway. This was a very cute story. I love it! As an artist, the illustrations were very good: the simplistic images of the characters in the middle of the detailed shadings. Also, the font and color choices are excellent.